Regular exercise and a healthy diet are very important for one’s wellbeing, since they can help prevent heart disease, obesity and diabetes and also has a big impact on our longevity. There are many forms of exercise and you will agree with us that one of the best places to break out a sweat is the outdoors. Of course we know that exercising outside is not without risks. The weather can be fickle sometimes so what starts out as a sunny afternoon can turn into a rainy one while you’re out on a run. It is for reasons like this that you need the best waterproof fitness tracker. Fitness trackers exploded into popularity recently. 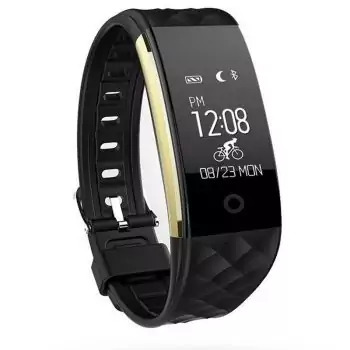 Basically it is a wearable device that monitors important numbers like the number of steps, heartbeats, calories burned, distance traveled and other important information. One of the best reasons to wear a fitness tracker is to help you set fitness goals by determining how active you want to be. It can also serve as a rough guide on how successful you are. There are many brands that manufacture fitness trackers with varying features. Some of them have heart monitors, others have GPS, include smartphone notifications or have increased sensors. Choosing the best waterproof fitness tracker can be confusing. However, the right kind of tracker can help you live a healthier and better life. It is more prudent to buy a waterproof fitness tracker because it is more versatile. Aside from sudden rainstorms, the waterproof feature can also be useful should you decide to engage in other forms of fitness activities. Sports like kayaking, hiking, backpacking, swimming and the like are likely to get you wet and the waterproof feature of your fitness tracker can protect your device as you paddle, trek or swim. Aside from water sports, sweat can also damage your fitness tracker if it is not waterproof. Activities like High Impact Intensity Training (HIIT) can make you very sweaty. Excessive amounts of sweat can damage sensors and render your device useless. It is therefore better to find a waterproof fitness tracker. A long battery life is also very useful especially if you want continuous monitoring. Some fitness trackers also monitor sleep so they need to function 24/7 for optimal data keeping. If your device should shut down while you’re sleeping or hiking, important data could be lost and keep you from monitoring your goals. Battery life also comes into play with how often you need to charge your device. Generally speaking, longer battery life means less charging making it a good feature for people who forget to charge their tracker or busy people. Not all fitness trackers have built in heart monitors. This is usually because heart rate tech is expensive due to more sensitive sensors. However, heart rate tech is an important feature especially for people who are looking to lose weight. For a person to lose weight, he or she should stay within their fat burning heart rate zone to drop the pounds more efficiently. Heart rate tech is also important because it helps you to avoid undertraining. This refers to exercises that are too low intensity. To get the most out of your workout, the Center for Disease Control recommends exercising at 70 – 80% of your maximum heart rate. App support can help you to monitor and understand your physical output better. 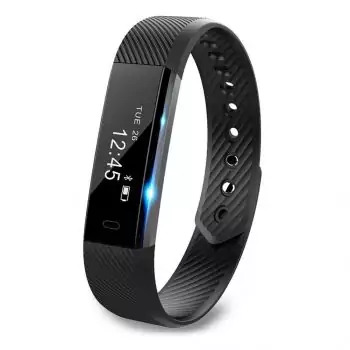 Some fitness trackers have apps that can help you to analyze statistics like calories burned or weight lost and other data that can help you exercise more efficiently. Ideally, the app should be as easy to use and understand as the fitness tracker. A good fitness tracker can be synced with your laptop or smartphone. If you are an android or Apple user, see if the tracker supports your device for easier syncing and data analysis. Design is not just about the color or style of the tracker. Most fitness trackers look like watches that can be worn on your wrist. During a normal day, it can be used as a watch and displays the time. During your workouts it performs other functions like heart rate monitoring, pedometer, calories burned counter or distance counter. The face should be big enough so that you can read the displays easily. Other fitness trackers look like dongles you can clip on your clothing. This can be more comfortable especially if your wrist gets too sweaty. There are also fitness trackers that can be worn like a pendant. Choose a style that is easy to wear and data that is easy to access. Lastly, the fitness tracker should be affordable for you. Generally speaking, the more features the more expensive. Find out which features are the most important to you and match it with a tracker within your price range. If you can afford to go all out, features are still important. Look for extra functionalities like GPS, sleep monitoring, app messaging, incoming calls or wireless charging that can come in handy during different types of situations. Now that we know what to look for, it’s time to check out popular fitness trackers in the market. One of the best ways to find out which products are better than the others is to look at its reviews. These types of inputs by past users can be very helpful as they are derived from real life experience of people who have purchase the product. You can think of it as a cheat sheet so that you have an idea what to expect before buying it. Here are reviews of fitness trackers. The Ronten R2 Smart Wristband can be your private health helper. This tracker looks like a bracelet but it can display time, steps, distance and calories clearly. It can also monitor sleep and alert you when you are sedentary for long periods of time. This tracker has a waterproof rating of IP67 so it works underwater for around 1 meter. The R2 has a long battery life so that you can use it up to a week without charging. When it is low on battery, it can be charged in 45 minutes using the built in USB. The USB can also be used to plug it into your computer or power bank without the need for other charging components. It also comes with an extra strap which is great if you need a backup or if you just want to change colors. The R2 is also widely compatible with a lot of smartphones. You can connect it to your Android or Apple device using Bluetooth. You can use the comprehensive workout app so that you can keep track of your fitness goals more efficiently. The tracker also has 14 training modes and GPS so that you will always know where you are. Overall, this product is easy to use, has convenient fitness activities and has an app that can help you analyze your workout better. The only complaints from past users are poor visibility of the LED screen when it is too bright. While Ronten says that the pedometer is sensitive, some users have reported that the counting is not as accurate as other products. Related: Rehydrate using the HCCC Vacuum Insulated Water Bottle. The 17 oz capacity is just the right amount to quench your thirst after a long run. 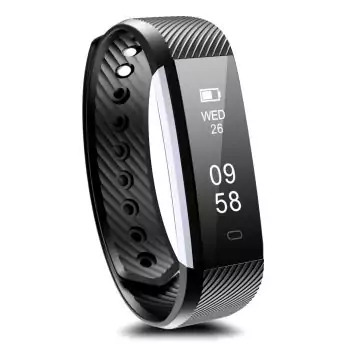 If you’re looking for an all day activity tracker, the Scofit Fitness Tracker Heart Rate Monitor is the one for the job. You can use it to track your whole day activities. Use it to monitor steps, heart rate, calories burned, distance, wrist based heart rate and simplified heart rate zones. 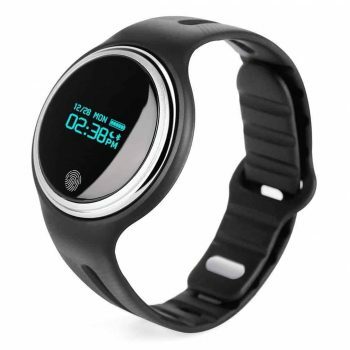 It also has bicycling and multi sports tracking so you can record bicycling time, average speed, distance and trajectory if you’re connected to GPS. It also features 4 indoor sports: rope skipping, jumping jack, sit up, treadmill that you can use even without downloading the app. Staying connected is important to athletes and workout enthusiasts so Scofit included a large OLED screen so that you can see Call, Text and Social Media notifications from Facebook, Twitter, WhatsApp, etc. it can also be used to monitor how well you sleep and wake you up with a silent vibrating alarm. This product is swim proof so you can wear it in the ocean, shower or swimming pool. This is a good product to use especially if you want heart rate monitoring in real time. It is also easy to charge via a USB port so there is no need for other charging apparatus. The only down side to this product is the short battery life. You need to charge every other day so it won’t die on you. Related: The black strap of the product above can be boring. Thus, the Scofit Adjustable Replacement Band can give you a bit of variety. Choose from white or pink depending on your mood. The Coffea C2 Activity Wristband is the perfect combination of business and fitness. The product is slim and easy to wear. It has a 0.86” OLED display screen and designed with fashion, sports and fitness in mind. It can be worn in the pool, shower, beach, gym or office. The C2 measures steps, distance, calories burned to help you understand your fitness level. The tracker is easy to match with your fashion style. Swap between purple or blue to suit your mood and your outfit. Aside from tracking fitness, the C2 can also help monitor sleep duration and sleep quality to help improve sleep. It features intelligent notification so you can access telephone, SMS, and all kinds of social information. If you’ve been sitting for some time, the sedentary alarm will sound to remind you to move. Another great feature is the anti lost. If your phone is beyond the Bluetooth range, the device will vibrate to remind you. There is also an operation on the screen to trigger remote photography shooting. The device is very easy to use, can be used swimming for versatility in your exercises and is slim so it is a good option for people who do not want to carry their phones when exercising. The long battery life can also be advantageous for busy people who do not have time to charge their device. Related: After a hard workout the E LV Collapsible Water Bottle + Cooling Towel can be a godsend. Use the bottle to keep your drinks and the towel to clean up or dry up after a swim. The X-CHENG Fitness Tracker is a fashionably designed health bracelet that can help you monitor heart rate, steps, calories burned and sleep. This tracker is a handy device when it is windy or rainy outside because the 4 in 1 indoor sports mode lets you monitor jumping jacks, time on the treadmill, rope skip and sit ups with ease. 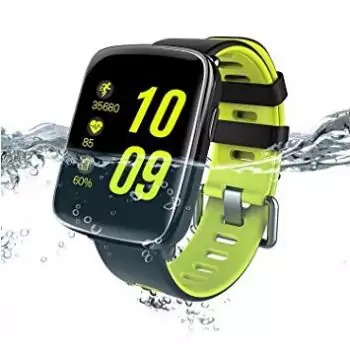 It also features an easy to read 0.96 inch OLED screen, is waterproof and dust proof and supports Android and iOs smartphones and supports multiple languages. The IPX7 is also easy and fast to charge. It has a standby time of up to 7 days making it a convenient and good choice for busy people. It also comes with a 3 color active Watch Band so you don’t have to be stuck with black all the time and switch up depending on your mood or outfit. You don’t have to worry about getting caught in the rain with this device. It is rated IP67 so you can take it with you when you’re swimming, diving, kayaking or partaking in other outdoor activities that can get you wet. The straps are made with high quality silicone TPU material for added durability and better comfort. Related: Need a good swimming gear? The Speedo Women’s Vanquisher 2.0 Googles should help you get the job done. It has anti fog coating and UV protected lenses to help you see better in the pool. 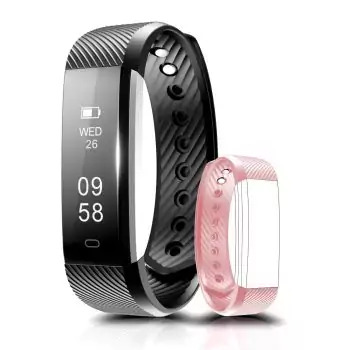 The LOLG Fitness Tracker is a multi function activity wristband. It tracks steps, distance, calories and also gives users access to SMS, incoming calls and app messages. You don’t have to worry about your phone getting lost because this device has an anti lost feature to remind you. Many users will love the easy charge and long battery life features of this tracker. You don’t need special wires or accessories for charging as you can plug it in a USB port directly. It is also fast charging with a 7 – 10 day battery life. This device also functions as a smart bracelet to help you monitor sleep by tracking deep sleep and light sleep. It will give you reports on how much sleep you’re getting every night and how many times you’re waking up to give you an idea on how much sleep you’re getting. The 0.86” OLED display screen and slim design has fashion in mind. It is lightweight and very comfortable to wear. The tracker is rated IP67 so you can wear it in the rain, when swimming or washing hands. While the product has good reviews from users, there are complaints of the product breaking only after 1 week of use. There are also complaints of users having a hard time downloading the app. Related: If you’re actively monitoring your fitness, monitor your water intake too with the Aquatime Fruit Infuser Water Bottle. It is a 32 oz infuser water bottle with gauges so you can monitor water intake while exercising. The Sokos Waterproof Smart Watch has a tempered glass lens making it scratch proof and shatter proof. It sports a 2.5D arc HD screen to make reading information in the outdoors easier. This device is rated IP68 so you can take a post run dip without taking it off. This product is the perfect run and sleep partner. 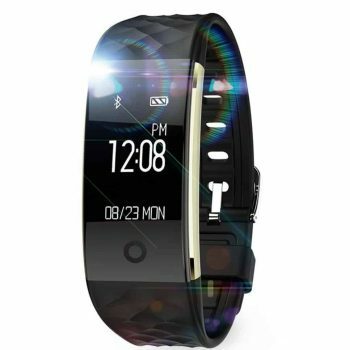 It features a sensitive G sensor to track sleep, distance and calories. It also analyzes your daily sleep patterns for better quality sleep and reminds you to keep good sleeping habits. If you’re setting a hydration goal, the water clock comes in handy. Just set it up and your watch will remind you to drink a glass of water. It also has a sedentary alert to remind you to keep on moving if you’ve been sitting too long. But the product is not just about sports and fitness. It also features convenient functions like SMS, call reminder, remote camera capabilities. The IP68 lets you see everything in a glance. Easily move between faces by swiping to find the right style and the information you need. Enjoy 1.54 inch TFT display with 240 x 240 inch resolution in 260000 colors. This device has Android and iOS capabilities. Related: The BRAUFACTUM Sports Bra is for the woman who needs breathable support for any fitness activity. It gives freedom of movement with quick drying technology to complete your workout gear. It’s surely is a great, comfortably workout buddy. Monitor steps taken, calories burned and distance traveled easily with the LESHP Activity Tracker Watch. It features a waterproof design with repeat water environment test with high temperature so you can take it with you when you’re swimming, running or biking in the rain or even in the shower. It also supports a GPS motion trail feature so you can monitor steps taken and distance traveled when running or biking. It helps track movement and sleep, making it a good all-day activity tracker. This device is multi function and supports caller ID, SMS, Facebook, Twitter message content display so you can receive notifications. It also has an anti lost function so you can receive notifications if your smartphone is too far away. This is a good choice for people who perspire a lot as it is sweat proof so it can be used for sweaty workouts, swimming and sports. The tracker supports a round design for style and functionality. The bright blue LED display is easy to read and cool to the eyes. The tracker also comes with standard USB charging for fast and easy charging. Related: Runners don’t just need fitness trackers; they also need good running shoes. Nike Revolution 3 Men’s Running Shoes is built for the neutral to underpronator who requires enhanced cushioning. The 10 day battery life of the Diggro S2 Smart Bracelet makes it a good choice for busy people. The device is rated IP67 so it can be worn in the shower, pool, ocean or out in the rain. It is also dust proof to keep away dust, corrosive materials and cosmetics. This product is multi functional and can be used as an alarm clock, heart rate monitor, sleep monitor and pedometer. It can also be set up to remind you against being sedentary, receive calls/SMS reminder and calories burned through the OLED screen. You can also exercise to the beat of your favorite music by setting up the Bluetooth capabilities of the device and your smartphone. Bluetooth can also be used to set up the remote camera and video recording. The product is easy to figure out and set up even without the use of a manual but we strongly urge you to read it first. For charging, use a standard USB port. The device can be charged without any accessories. It also has a generous battery life that can last up to 10 days on a single charge. Download the mobile app for better analysis of your fitness and to help achieve your fitness goals. Related: Listen to your music remotely with the Forone Wireless Bluetooth Earbuds. Pair it with your tracker to enjoy crystal clear audio and sweat proof design as you pound the miles away. A fitness tracker is a good way to keep motivated and keep fitness goals in check. 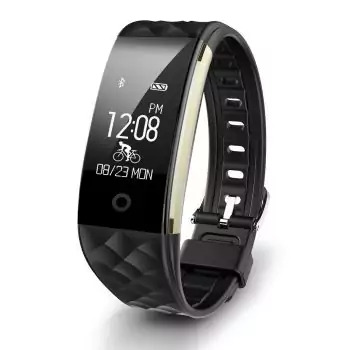 When looking for a fitness tracker, find something that is easy to use, within your budget and features functionalities that you need and will find useful. Think about the activities you want to do and set reasonable goals. With the help of a fitness tracker you can set goals like taking 10,000 steps a day or burn a certain number of calories that can help you realize your fitness aspirations. In the end, it is all about discipline and motivation. 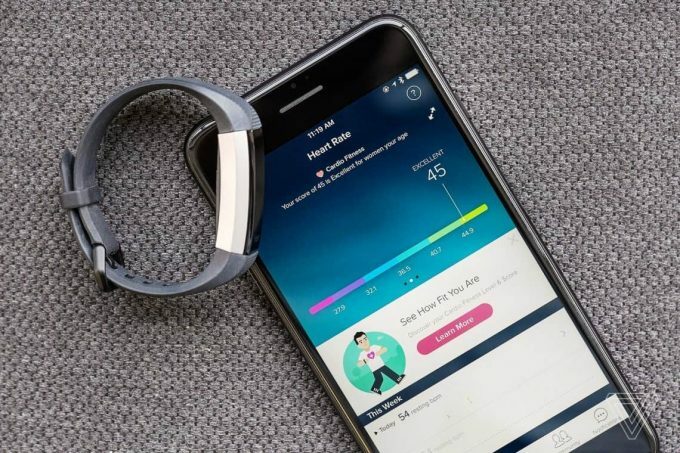 While a fitness tracker can help you monitor activities and keep your goals within reach, it is still up to the individual if they want to remain committed to their health and bodies. What do you think of our featured fitness trackers? Do you think you will be buying products included in the review? Do you have any experience with any of the products mentioned above? Let us know by leaving your comments below.